Why it matters: Although 3D printing isn’t exactly a massive hit with average consumers, it’s found a huge number of uses within different industries, including medicine. Now, a researcher has been given a Department of Defense (DoD) grant to study bone regeneration techniques using a combination of the printers and adult stem cells. 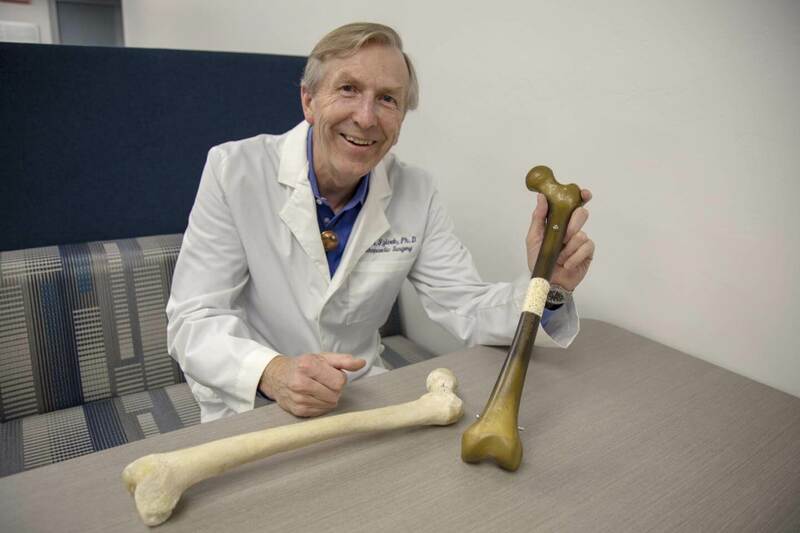 John A. Szivek, Ph.D., a biomedical engineer and professor of orthopedic surgery at the University of Arizona, received a five-year, $2 million grant from the DoD. "Imagine an impact that causes half of a long bone to shatter so that it can't be put back together. No current surgical treatment can ensure that kind of injury will heal. Injuries can cause big bone defects,” he said. Szivek aims to 3D print plastic bone-shaped frames called scaffolds, which will be used to replace missing or damaged bone segments. These scaffolds will be filled with calcium particles and the adult stem cells, both of which encourage faster healing and bone regrowth. Szivek has already ran pilot studies that show this method works well, achieving “complete bone formation covering a large bone defect in about three months.” It’s hoped that the work will ultimately be able to help military personnel who suffered injuries in combat that result in bone defects. Back in 2015, a cancer patient received the first 3D printed titanium sternum and ribs in a world-first surgery. The technique has also been used to create the world’s first 3D-printed cornea using stem cells and algae.